Ed DeMay recently contacted Arnold Palmer’s Children’s Hospital to see if they would like the tops that the club turned. They enthusiastically said yes! However, knowing Bill works for Adventist Health (as does my daughter) I thought we ought to contact them as well. I reached out to my daughter and she contacted the Children’s Hospital rep who likewise enthusiastically agreed to accept a top donation. We had approximately 200 so they are being split between the hospitals. 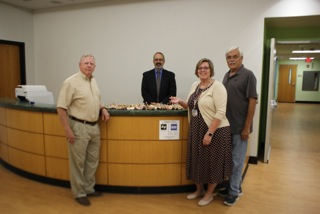 Ed DeMay, Dave Farrell and I delivered 100 to Arnold Palmer on Tuesday October 30. I’m still working out the delivery to Advent Health. Attached is a pic! Don’t forget to scroll down and vote on Projector Vs TVs. Here is the March 2019 Newsletter. Download the PDF and take a look. 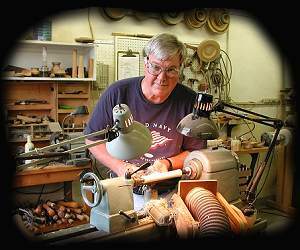 I am a Woodturner from Central Illinois here on vacation. 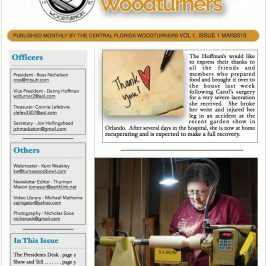 I am curious if there are any stores in the Orlando area, or close that carries supplies and wood for Woodturners. There are a couple. Woodcraft, where I teach. Rockler in Altamonte Springs and Amazon wood in Altamonte Springs or Casselberry, it’s great if you are looking for wood and the prices are excellent. 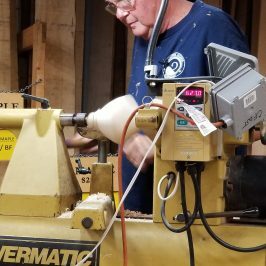 I am interested in learning woodturning and would like to join your Central Florida Woodturners Club. I have downloaded the application but couldn’t find an address to send the application and check to. I also didn’t find when or where you hold your monthly meetings. We meet at WoodCraft in Fern Park, FL. The meeting is at 7pm the 3rd Thursday of the month.